MSTONE Build plans to start work soon on the £3 million regeneration of an iconic landmark site in the heart of Blackpool City centre that will bring back former glory days for Lancashire’s premier seaside resort in time for its world-famous and jaw-dropping illuminations next year. 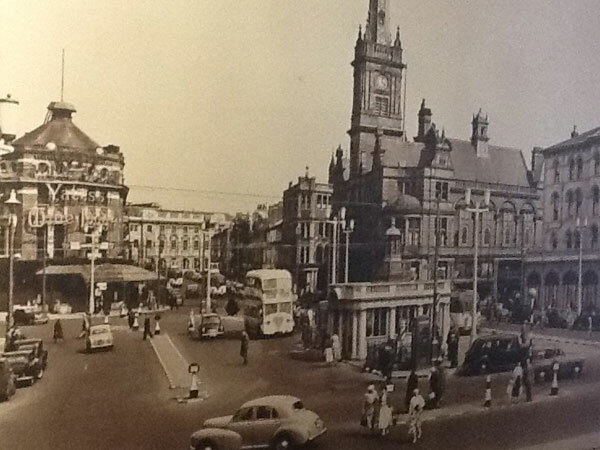 The national construction company based in Colne will revamp the site of the burnt-down and now-demolished former Yates’s Wine Lodge which sits across from Blackpool Town Hall, the North Pier and also the seafront promenade, or “prom” as it is better known, where a revived tram system has just been launched. MSTONE Build won the contract to design and build a 26,000 sq ft leisure and retail project on the conservation area site over the road from Talbot Square. Tenants lined up are the New York-style restaurant-bar T.G.I. Friday’s; Cosmo, the Pan Asian banquet chain; and supermarket giant Tesco. The design of the new three-storey iconic building on Clifton Street is in a modern art-deco style that reflects the heritage of the former site and includes a clock in an ornate white stone tower and a featured balcony of wrought iron. “This is an exciting job for MSTONE Build as the history behind the landmark and the prominence of the site boosts our profile and takes us closer to our goal of becoming a major player in the national construction industry,” said MSTONE Build Managing Director Nick Richardson. Plans are for an August start to the 40-week rebuild of the site of the ex Yates’s Wine Lodge where millions sipped ale and cream sherries in the last century when Blackpool was in its heyday as a vacation seaside resort. That timeframe means the tasty restaurants and handily-located retail businesses on the new icon site should be up and running for the traditional Blackpool illuminations in the autumn of 2014. The illuminations switching on ceremony takes place in Talbot Square.